We are keeping an eye on Washington in this week’s newsletter with rumblings of a potential federal infrastructure plan and negotiations continuing on the North American Free Trade Agreement. We are working closely with our Ports-to-Plains Congressional Caucus to deliver the message to the administration that the Ports-to-Plains Alliance Corridor is the type of project that should be included in a major federal infrastructure plan. It is a multi-state corridor with strong federal interest that will have a tremendous economic impact on our energy and agriculture heartland. I also had the privilege of attending the 2018 State Agriculture and Rural Leaders Legislative Agriculture Chairs Summit in Kansas City January 6. Top elected state and provincial officials with an interest in agriculture and rural communities attended the conference to work together, network, collaborate and create problem solving partnerships. 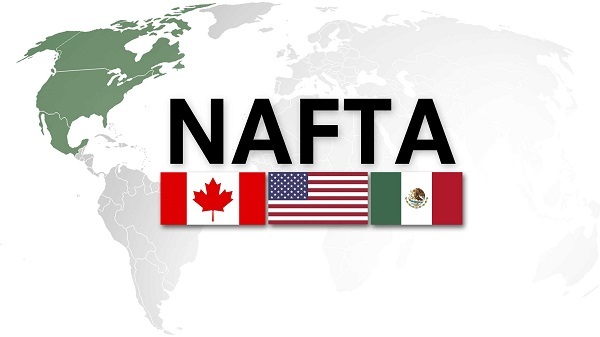 The current NAFTA negotiations were a key topic at the meeting as agriculture has benefited tremendously from the increased trade with Canada and Mexico. Our North American neighbors are top destinations for U.S. farm products. Our rural communities need ag exports to survive economically, and it is imperative that we have good trade relations with Mexico and Canada to be competitive. WASHINGTON – President Trump plans to press Republican congressional leaders this weekend at Camp David to make a major infrastructure package their top legislative priority this year, as his administration readies a blueprint he'll tout in the State of the Union address on January 30, according to two White House officials. 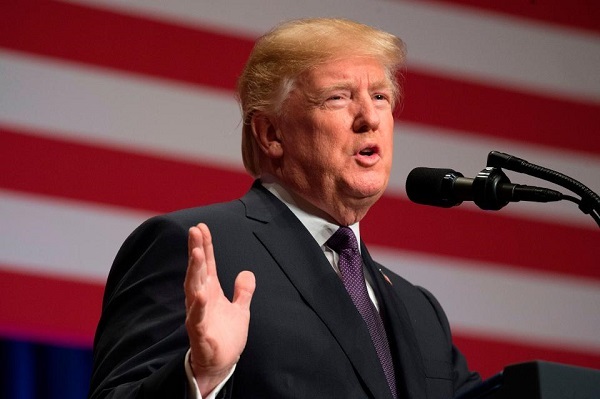 The White House will release a proposal in mid to late January that will call for a wholesale change in the way the U.S. approaches big infrastructure projects, according to the officials, who were not authorized to speak publicly because the plan is being finalized. Trump's pledge to renew the country's roads, bridges and airports was a major populist promise from his 2016 presidential campaign. But it was put on hold as GOP congressional leaders pursued traditional Republican agenda items in his first year in office, including tax cuts and failed attempts to repeal and replace Obamacare. At a presidential retreat in the Maryland mountains this weekend, one official said Trump will make clear that House Speaker Paul Ryan, R-Wis., and Senate Majority Leader Mitch McConnell, R-Ky., should put infrastructure above other priorities including Ryan's push to overhaul entitlement programs. 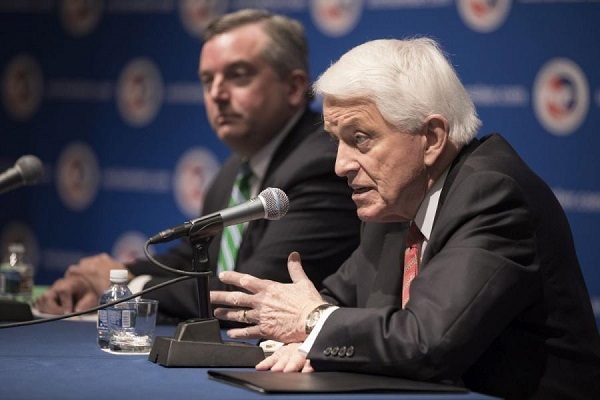 After Tom Donohue laid out the U.S. Chamber’s 2018 agenda in the State of American Business Address, the President and CEO joined Executive Vice President and Chief Policy Officer Neil Bradley for questions from the Washington, D.C. press corps. Hot topics included NAFTA, infrastructure, and immigration. But with that warning, Donohue expressed the business community’s continued hope that the U.S., Canada, and Mexico can reach a modernized agreement. To make sure that happens the U.S. Chamber has been holding numerous events in Washington and across the country to “keep the focus” on NAFTA. And it will "keep it up until it's all resolved and we have a new agreement," said Donohue. Donohue praised Congress’ efforts in advocating for NAFTA, noting that members of Congress "have been working very closely with the White House and the trade rep."
And should it get to a point where the U.S. pulls out of a trade deal that supports 14 million jobs, Donohue said, “you might get the idea that Democrats and Republicans alike would be very consumed by that move." The important question is how to pay for it. "I have been a longtime supporter of a gas tax increase," said Donohue in the press conference, and noted it hasn't been raised in over two decades. 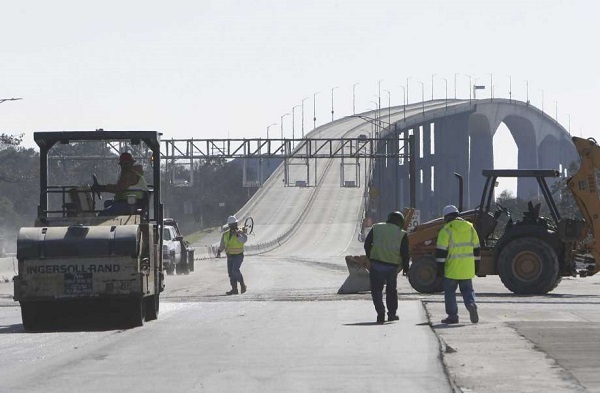 As a result, "we have reduced the money coming in" for highways, bridges, and other infrastructure. But he said further ideas about funding will come at America’s Infrastructure Summit on Jan. 18. Canada is trying to convince the U.S. to remain in the North American Free Trade Agreement in the most Canadian way ever — with an outreach blitz that some Canadian officials call the “hug an American campaign,” the Wall Street Journal reports. 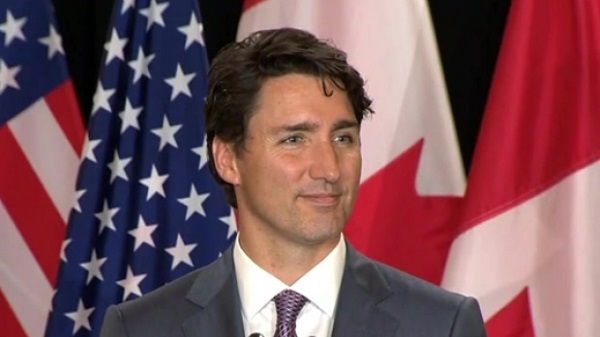 As officials from the U.S., Canada and Mexico continue with official negotiations, Canadian officials, from Prime Minister Justin Trudeau to provincial governors to local businessmen, have waged a quiet lobbying effort to save the trade pact. Canadian officials have held nearly 300 meetings with American leaders since President Donald Trump’s inauguration in January 2017, WSJ reports. Trudeau’s envoys have met with 16 secretaries in the Trump cabinet, more than 250 members of Congress, and more than 50 state officials. “What we are depending on is that facts should win the day,” David MacNaughton, Canada’s ambassador to the U.S., told WSJ. Canada is ramping up the outreach effort because “while we are doing a better job of this, and getting people’s attention, we are not where we need to be,” MacNaughton said. Justin Trudeau’s lead Nafta minister is reaching out to many of the Republican senators urging the Trump administration to stave off the trade pact’s collapse. Foreign Affairs Minister Chrystia Freeland met Tuesday with Commerce Secretary Wilbur Ross, a regular critic of the status quo for the North American Free Trade Agreement between the U.S., Canada and Mexico, according to a statement from her office. With the sixth round of negotiations set to begin in two weeks in Montreal, Freeland was also due to meet with top Republicans who have publicly supported Nafta. They include Arizona’s Jeff Flake, Tennessee’s Lamar Alexander, Pat Roberts of Kansas, Nebraska’s Deb Fischer and South Carolina’s Lindsey Graham, according to a statement from Freeland spokesman Alex Lawrence. Freeland was also due to meet Democratic Senator Elizabeth Warren of Massachusetts and Republican Congressman Dave Reichert, a member of the powerful Ways and Means Committee, Lawrence said. 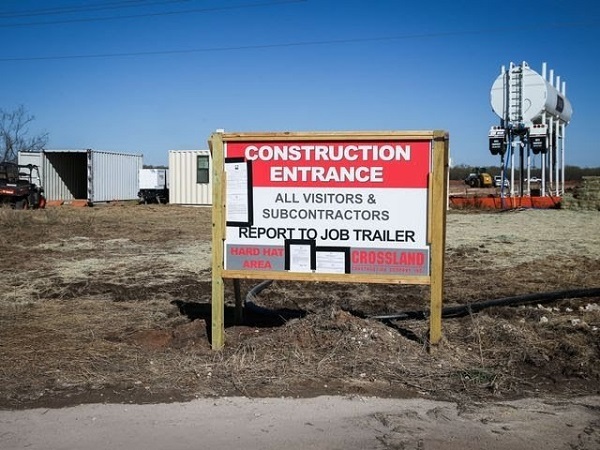 The City of San Angelo Development Corp. substantially surpassed its goal of creating 50 new direct jobs in 2017 through its Business Retention and Expansion Program. Additionally, the existing companies, through the program, invested $16.72 million, surpassing the corporation's goal of $15 million. COSADC's first BREP project of 2017 gave $516,123 to Principal LED, LLC in January. A manufacturer of lights for outdoor signs, the company invested an estimated $2.87 million toward the purchasing of a new property, the old Taylor Publishing building, which had been vacant for over 11 years. The capital investment also included making improvements to the building and buying equipment. With that deal, 51 San Angelo jobs were retained and another 50 were added. Next came Netco Energy Products, receiving $60,000 in its incentive deal in June. Spending almost $1.35 million for a new building and equipment, the company is consolidating its employees and operations in San Angelo. This deal retained six jobs in San Angelo and added another 20. The result also included retaining 20 indirect jobs and adding another 17. Indirect jobs are related to the purchases of the new business, like materials, supplies and equipment. These figures also include induced jobs, which are related to expenditures of business employees, such as the need for additoinal food service or retail workers. While the majority of Netco's operations are in the Permian Basin, staying in San Angelo was beneficial, said Shannon Kendall, president of Netco. Colorado Gov. John Hickenlooper has reversed course and called for new general-fund spending for transportation in next year’s state budget — a move that could give a significant boost to business groups’ efforts to help roads, bridges and transit. The Democratic governor sent a letter to the Colorado Legislature's Joint Budget Committee late Tuesday requesting that $148.2 million of the expected $256.5 million in newly forecast general-fund revenues for the fiscal year beginning on July 1 be put to transportation. He asked that the rest of the newly projected income go to the general-fund reserve, which would build the “rainy day fund” up to 8 percent of the general-fund budget. Hickenlooper had angered some business leaders and legislative Republicans by proposing a 2018-19 budget that put no new money to transportation, despite his support during the 2017 session for a proposed tax-hike ballot measure that would have raised billions of dollars for state and local road and transit needs. He pointed to the passage during the session of a bill that will put about $1.9 billion more to transportation in the coming years — a total that remains far short of the Colorado Department of Transportation’s projected $9 billion shortfall for needs over the next 10 years. 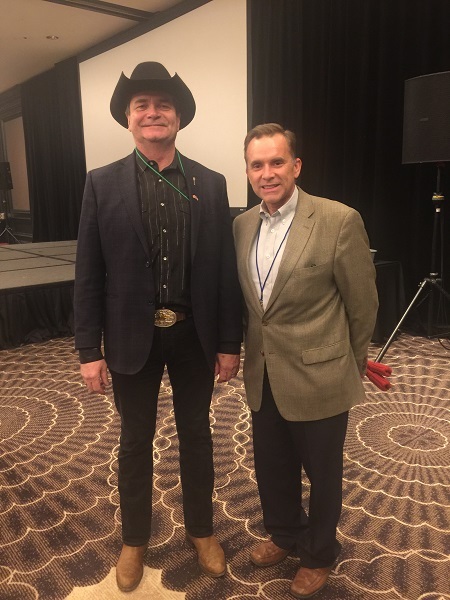 Alberta Minister of Agriculture Oneil Carlier and Ports to Plains President Michael Reeves at the 2018 State Agriculture and Rural Leaders Legislative Agriculture Chairs Summit in Kansas City January 6. The conference is an unparalleled non-partisan educational opportunity for elected state and provincial officials with an interest in agriculture and rural communities to work together, network, collaborate and create problem solving partnerships since 2001. 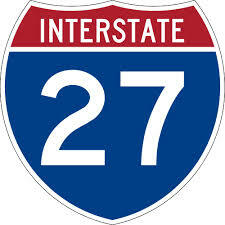 The proposed extension of Interstate 27 intersects with Interstate 40, Interstate 20 and Interstate 10 and will serve three border crossings with Mexico at Del Rio, Eagle Pass and Laredo.